The UAE will take on Zimbabwe in a historic four-match ODI series, starting Wednesday. After starting the 2018/19 season with a landmark T20I against Australia in October last year, UAE will reach another milestone when they play their first ever bilateral ODI series against a full Test nation – Zimbabwe. “We have a very strong relationship with Zimbabwe Cricket having established a reciprocal playing agreement in 2017 which commenced with our national side playing Zimbabwe A in a five-match series during their tour of the UAE. We are thrilled that our national side will now be playing their first ODI series against a full Test nation,” Waleed Bukhatir, Emirates Cricket Board member and chief selector, said. “This series is a testament to the quality of not only UAE’s national side, but to the growing levels and abilities of associate cricket,” added Bukhatir. The matches will be played on April 10, 12, 14 and 16 at the Harare Sports Club. The team will be captained by Mohammad Naveed and sees the return of veteran Rohan Mustafa in the 50-over format. UAE cricket team suffered a five-wicket defeat at the hands of USA on Monday in the first of three one day internationals. Having won the toss at the ICC Academy Ground in Dubai Sports City, UAE decided to bat first. However, they weren’t allowed to score freely. Chirag Suri (14) and Shaiman Anwar (13) failed to get going and were both removed by Steven Taylor who also ended the resilience of Rohan Mustafa after the opener battled on for 47 from 85 deliveries. Rameez Shahzad struck nine boundaries in his 62-ball 53 and set UAE up to finish their innings strongly, aided by support from Ghulam Shabbir (34 from 38) but Taylor picked up his wicket as well. The home team were ultimately dismissed for 209 from 48.1 overs with Taylor ending with figures of 4-38. USA’s chase got off to a slow start as well with Xavier Marshall’s knock of 58 from 86 balls holding up one end while a couple of wickets down the other saw them in a spot of bother at 34/2 into the 10th over. However, Aaron Jones was the chief engineer of a couple of vital partnerships, first with Marshall and then Jaskaran Malhotra who was later run out by Suri after hitting 31 runs from 42 balls. Jones remained until the end though to expertly shepherd the visitors over the line with a fine knock of 81 from 107 deliveries that included 10 boundaries. USA achieved their target of 210 with 15 deliveries to spare and five wickets in hand. The hosts claimed a 1-0 victory over the Americans in the two-match T20I series just prior to the ODIs, winning the second encounter after the first was abandoned due to rain. However, they now go into the remaining two matches of the series trailing 1-0. 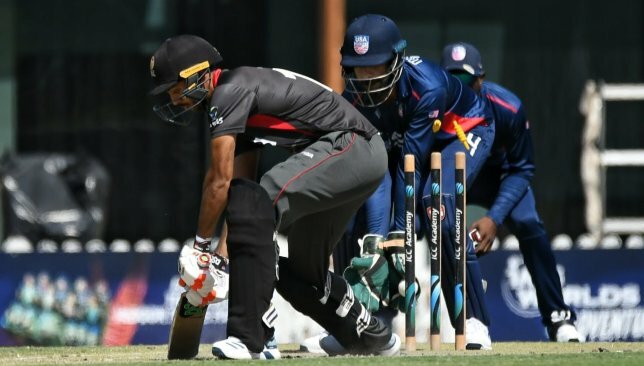 The UAE were 22 for 0 after six overs having won the toss and electing to bat first in the first of a three-match 50 overs series against the visiting USA. The match began at 10:00 local time at the ICC Academy in Dubai, with Nosthush Kenjige and Jan Nisar Khan coming in for their first games of the tour for the US. 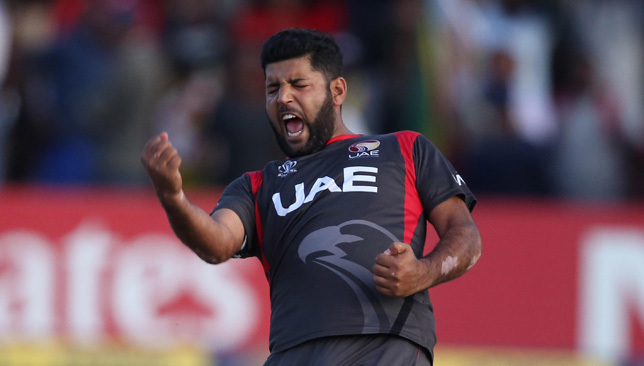 The series comes after the UAE wrapped up the two-match T20 series on Saturday, an explosive innings from Shaiman Anwar helping the hosts to a 24-run win. The first fixture on Friday was washed out as heavy rain forced the match to be called off early in the second innings. As such, victory in the second game also handed the hosts as series win.